Are you planning to relocate? Are you feeling you cannot handle the pressure of cleaning up the house on your own? Even if you take your time out to do a thorough cleaning yourself, you surely cannot match the perfection of a professional cleaning service. Its time you stop worrying and get some peace of time, since we are here to help you out with our superb end-of-tenancy cleaning service. We are a part of cleaning industry and we cover areas in and around Chelsea SW3. Our end-of-tenancy service is meant for tenants who are about to move out or property owners who are looking for new tenants. Our perefect cleaning service is extremely important since as a tenant if you fail to meet the expectations of your landlord you may get a poor referral. Smooth handing over is very important because you would not want to leave a bad impression on someone. Most importantly it is your moral obligation to clear out the mess before a new tenant moves into the same house. Imagine when you shift to a new accommodation and find that place in complete mess, wouldn’t you feel terrible about it? 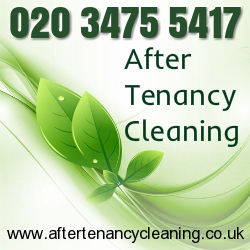 Our end-of -tenancy service will help you with all last minute cleaning troubles. Our team of experts is well experienced to take care of the entire cleaning task without hassle. They will leave the premise in an impeccable condition. Once they complete their job you will notice remarkable change in the level of cleanliness. 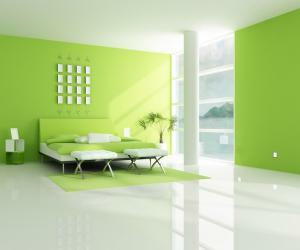 We provide thorough cleaning for every room in the house. We will clean the entrance and hallway as well. Clean entrance will ensure that the property looks brilliant the moment someone from the letting agency comes to visit the house for inspection. We will clear out all the trash leaving no waste disposal qualms for you. Our end-of-tenancy cleaning is designed to cover major areas and smaller ones as well; places like staircase, terrace, sills, frames, and external windows are also cleaned. You can call our customer care to know about the details of our services. They will help you understand our procedures; they will also help you get the best price. Our services are meant to help you when you are packing and moving out, so we try to give you prompt service that promises quick results. Book yourself one of the best cleaning services in London and see the magic unfold. Most of the landlords requires from their tenants before moving out of their property to do one final cleaning which should be done by professional cleaners. Our company has exactly that kind of service, and if you need to hire professional cleaners to do the moving out cleaning we are exactly the company you need. Our staff is among the best in the area and we will clean your rented accommodation for no time as you will see the results will be more than satisfying. The company is located in Chelsea SW3, but also in many other districts of London.